We approached the restaurant with anticipation. Ignore its unprepossessing looks and drop in to this little Malvern restaurant. The faded green laminate tables and 1980’s suburban kitchen style chairs are quickly forgotten when you taste the food. We ordered the Ma Po Tofu (11.50) on this visit. Like the restaurant, it isn’t pretty but no-one cares. 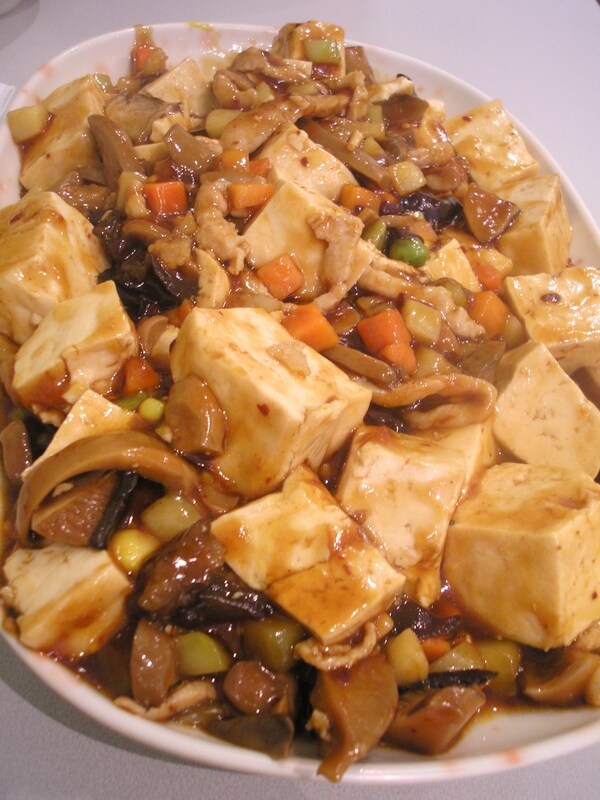 Soft cubes of silken tofu, strips of pork, assorted mushrooms ( including shitake and the delicious wood ear) float in and rich sauce with a hit of chili somewhere in the background. We also had the Steamed Shanghai Pork Mini Buns (6.00), these are like xiao long bao, giving that little spurt of stock as you bite through the skin. They are good but not quite as good as the ones at Hu Tong Dumpling Bar in Market Lane in the city. I’ll have to try making my own. Other dishes we have tried on this and previous visits are the Fried Chicken and Prawn Dumpling (9.00), a tasty filling but don’t eat too many and Stir Fried Minced Pork with French Bean, this was richly flavoured and saucy, topped with an interesting garnish of shrimp floss. Their Shanghai Fried Noodle (8.50) is there with the best, the reappearance of the wonderful wood ear mushroom only adding to the experience. One of my favourites is Dan-Dan with Spicy Pork Sause [sic] (8.50), the fiery sauce, served on a bed of flat rice noodles and garnished with cucumber to counteract the heat, is approaching nirvana for those who like their food spicy. 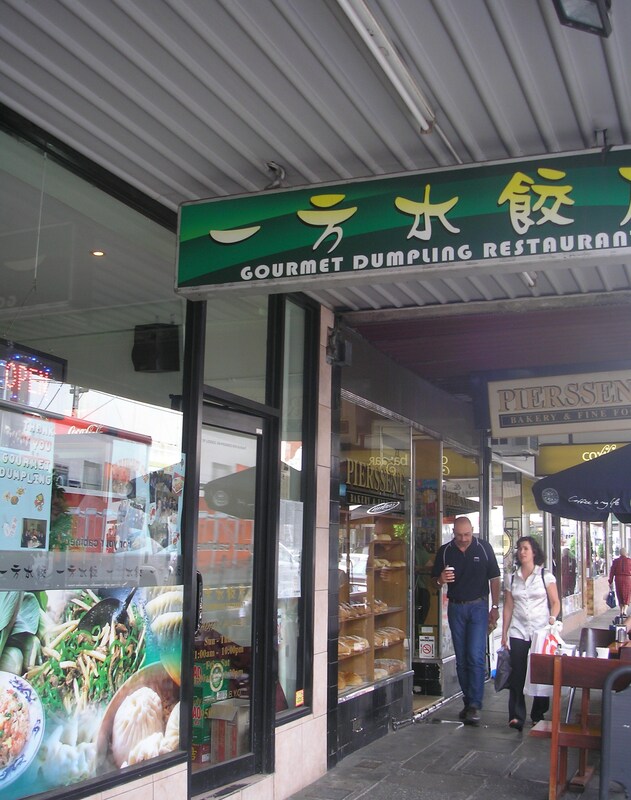 I would recommend the Gourmet Dumpling Restaurant as a good and reliable suburban alternative if you don’t want to go into the city.